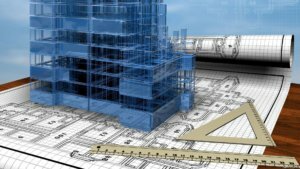 The business confidence indicator in the construction market of Ukraine in the third quarter of 2018 improved by 2.8 percentage points (p.p.) compared to the second quarter, but remained negative at minus 18.7%. 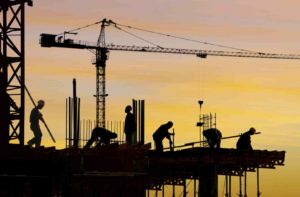 According to the survey of construction companies by the State Statistics Service, the assessment of a shortage of the current volume of orders reduced by 5 percentage points, to minus 40%, which corresponds to the situation in the first quarter of 2018. According to the results of the survey, 42% of companies rated their current order volume as insufficient, 55% as normal for the season and only 2% as exceeding the norm. Some 39% of respondents expect an increase in prices for their services in the third quarter of this year, which is 6 p.p. less than in the second quarter, while 2% of the companies surveyed predict a decrease in the cost of construction work, and 58% do not expect any changes in the price policy. According to the service, companies participating in the survey are provided with orders for an average of five months, which corresponds to the indicators of the first and second quarters of this year. The service said in the third quarter unfavorable weather conditions will not affect the work of construction companies, but 45% of respondents will continue to experience financial constraints. In addition, 27% of companies will be constrained by an insufficient demand, 19% by a shortage of labor. Some 13% of the companies surveyed expect a reduction in the number of their employees in July-September 2018, while 22% predict an increase in the number of employees.